Breakfast in Bed with Martha Stewart and Plaid! April 18, 2012 This post may contain affiliate links. About a month ago, I was quietly rolling through the ‘hood in my cozy little minivan from a hard 5 hours at the ole job when I pulled into my driveway and what did I spy, but a box! A box just waiting for me on my front porch and I knew, I JUST KNEW, what it was and I ripped right into it right there on the front porch! 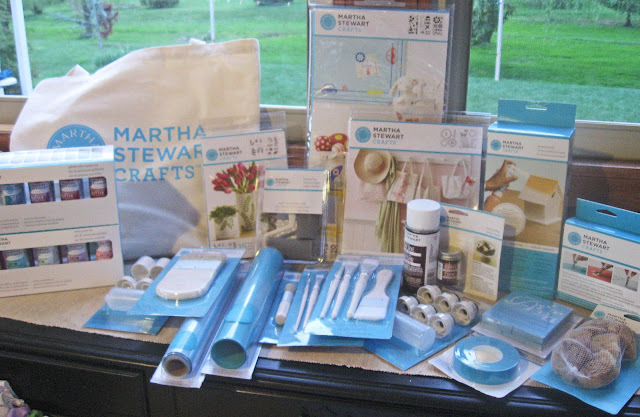 Seriously, get a load of this motherload of awesome crafty goodness from Martha Stewart Crafts! I just kept staring at everything and couldn’t believe it was all mine! There was so much to drool over and the only direction was to make something for Mother’s Day! So, I did what I do best. I agonized and over-thought everything. I thought about my mom and what she enjoys. Then I thought about Mother’s Day and what it means to me as a daughter and what it means to me now as a mom… yep, I over-thought EVERYTHING. For me, when I think of making it a special day for a mom, any mom, it always starts with breakfast in bed. That seems to be a universal way for kids everywhere to show they appreciate their moms! And even though the majority of us don’t live with our moms anymore, we can still gather the items so that she can have a nice “breakfast in bed” on Mother’s Day morning! To personalize this for my mom, I knew she’d love her breakfast with a good Nancy Drew book, some tea and a scone! The first thing any good breakfast in bed needs is a tray. 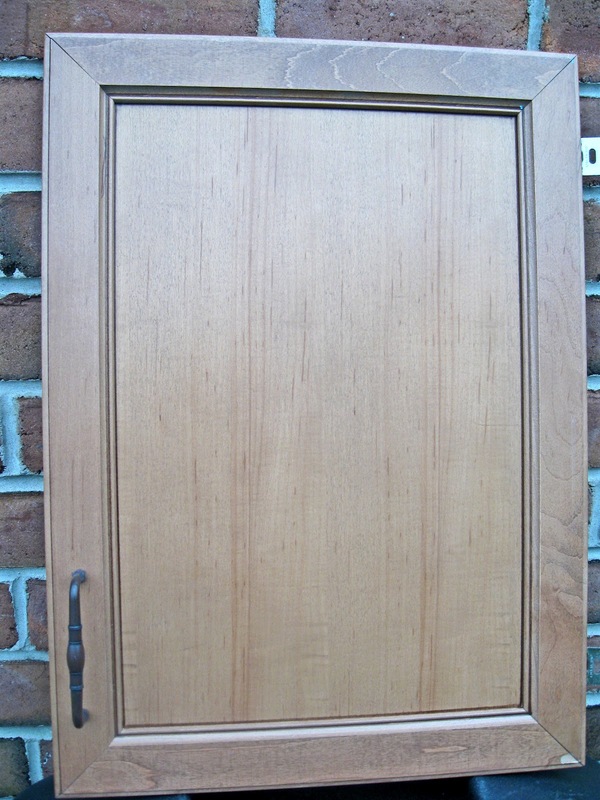 I found this cabinet door in my stash and knew it would be perfect since it had a nice flat insert. 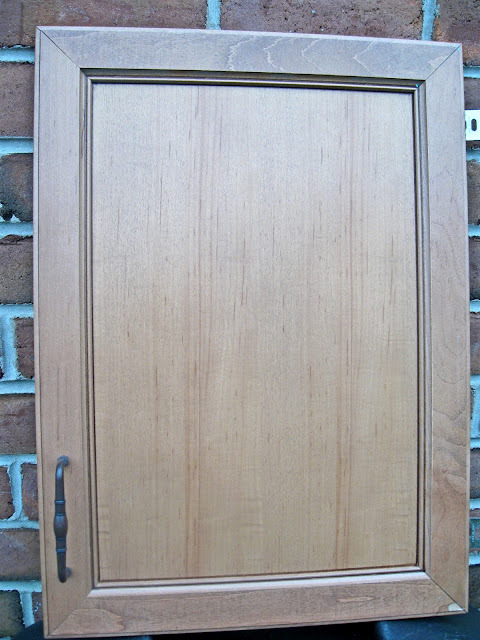 I actually had 4 of these doors that I had taken off a free cabinet, so I took the handles off 2 of them to use for this project. I filled the holes with wood putty since I would be re-attaching my handles on the sides as tray handles. 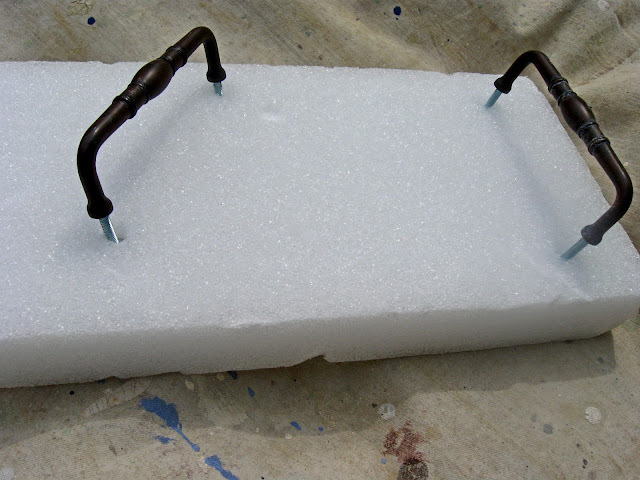 Then I used the small paint roller and tray that was sent in the kit to paint the door. While that was drying, I painted the handles. This was the really cool part for me! 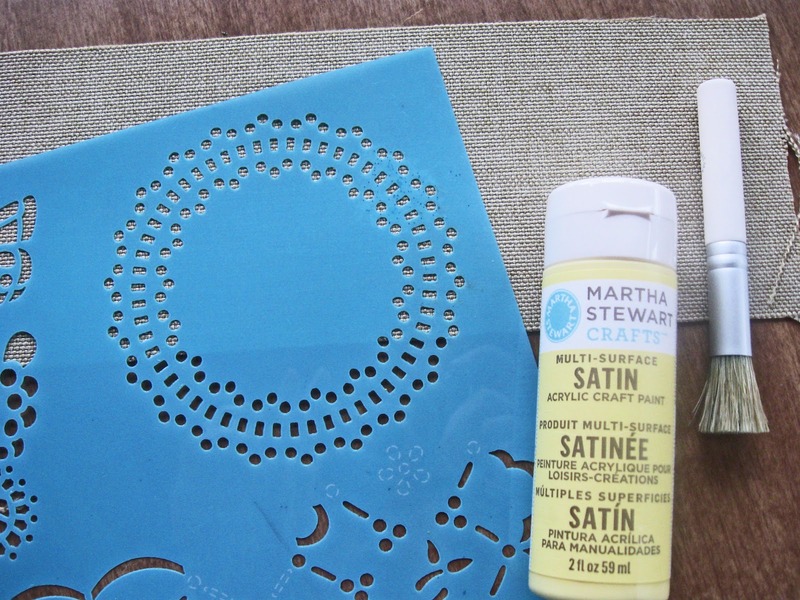 Included in our stash was this Martha Stewart Spray Paint Kit, so I could turn this acrylic paint into spray paint by mixing it with the included medium. Now obviously you could just go buy a can of spray paint and paint your handles, but here’s the thing, folks… if I had done that, my green handles wouldn’t have matched the green on my tray! 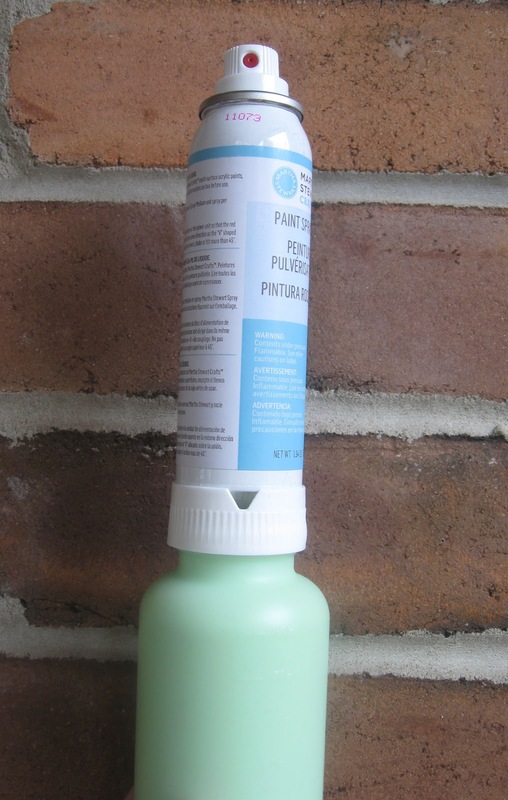 By using this spray paint, I could use the same green to spray my handles and have it match exactly the green that I stenciled on the tray! Get outta here!!! Look at that matchy-matchy!! There was even a heat tool and rolls of stencil film to MAKE YOUR OWN STENCILS! I just pencil-sketched what I wanted to cut out, let this heat tool heat up and then you hold it just like a pencil and cut it right out! It was amazing and I couldn’t stop cutting things! This is how it looks right after I cut it. 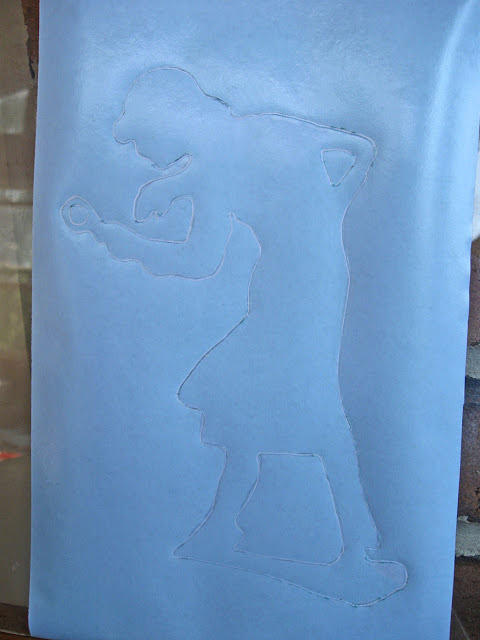 Then you just lift it up and you have a stencil! Here was the first stencil I cut after I placed it on my tray. 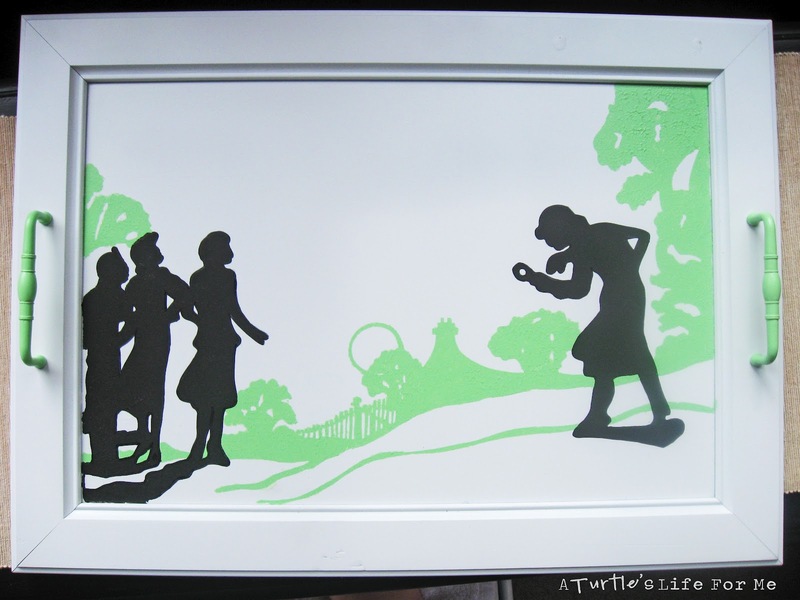 placed my silhouette stencils on top and painted them in black. 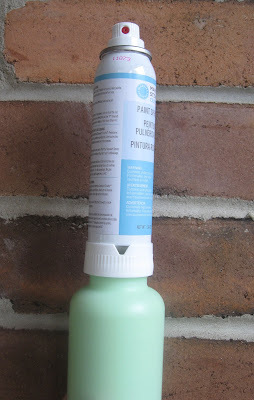 some Jonquil (yellow) paint on and attached it to this recycled jar with a dab of glue. All I have to do is wrap up the scone, place a tea bag in the mug and add a card and I can leave this at my mom’s house the night before Mother’s Day and she will still be able to enjoy breakfast in bed even though I’m no longer living at home to make her fresh chocolate chip pancakes! more awesome projects and inspiration! I wrote this post as part of a paid campaign with Plaid and Blueprint Social. The opinions in this post are my own. 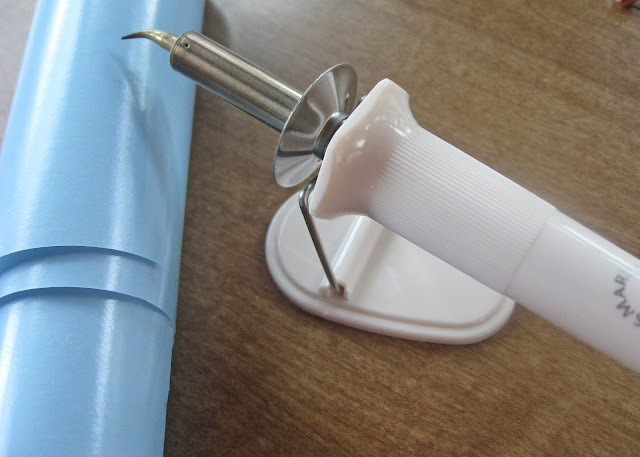 Home Stories A to Z, Today’s Creative Blog, Tip Junkie, Uncommon, The 36th Avenue, Tatertots & Jello, Frugal Girl, Tidy Mom, My entry to Uncommonly Yours link party @ Uncommon sponsored by Appliances Online and the Bosch Washing Machines. Oh my goodness! That is incrediable! I want one! And I want one of those boxes! That is awesome! 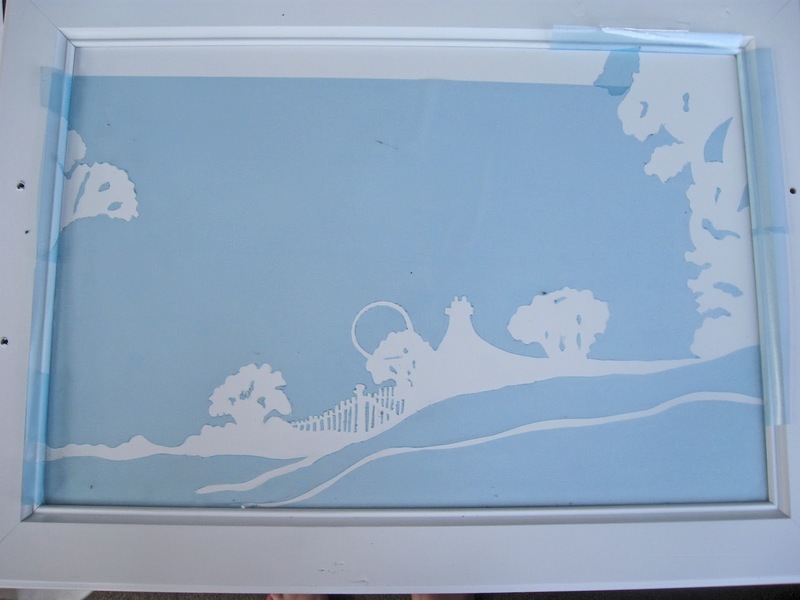 That stencil is amazing you’re seriously talented! I love that you used the cabinet door! So cute! This is fabulous! 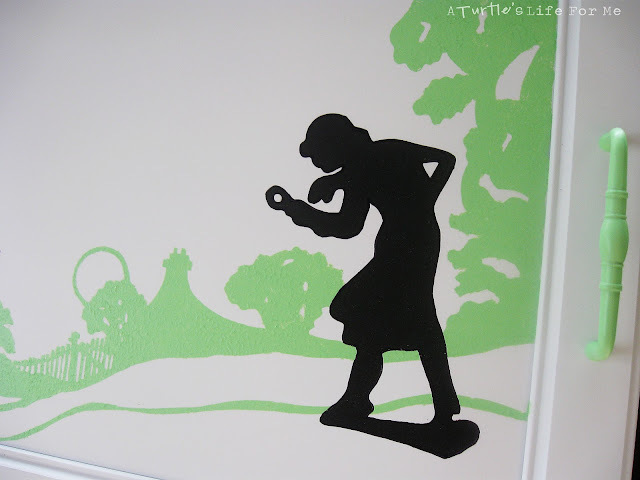 Love the stencils you made! So many things to love – thanks for teaching me how to make my own stencil with the heat tool. That is SO COOL and something I have never seen before. 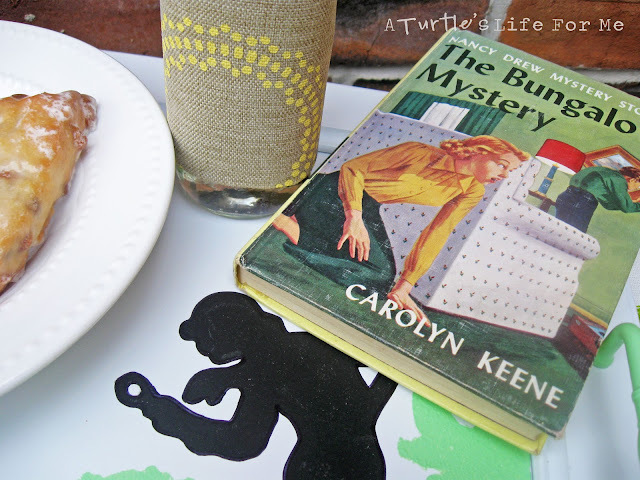 Also, I love Nancy Drew. And the cabinet. WIN. how do I get a box like that? I really want to know how so many of the blog owners I follow get into receiving all this cool free stuff. This is brilliant! 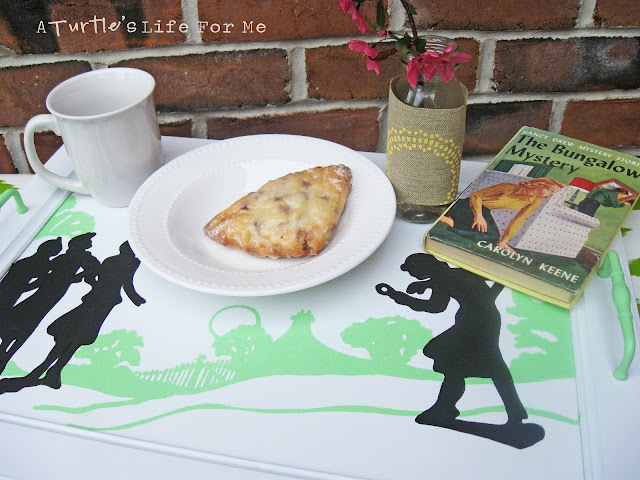 I think I’ll show my daughter and hint about how fun it would be to have breakfast in bed served up on such a cute, personalized tray. I’ll take everything…including that scone. Looks delish! Oh my goodness! I love your Nancy Drew tray! 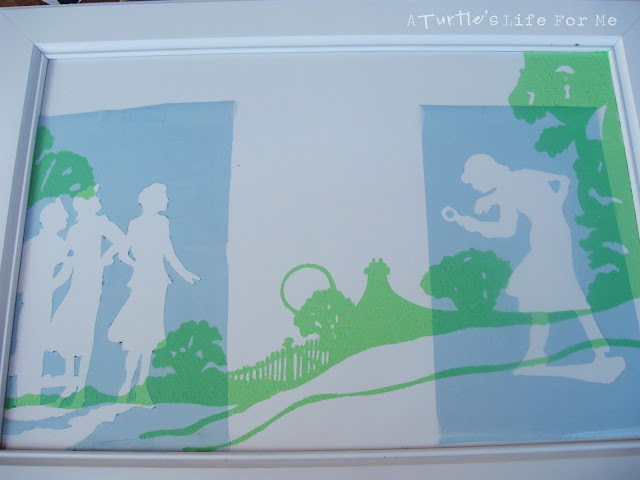 I’ve been trying to decide how to use my stencil material and heat tool and this gives me some great ideas. What a wonderful, thoughtful gift for your mother and what a great package for you! Oh wow! This is so stinkin’ cool!! 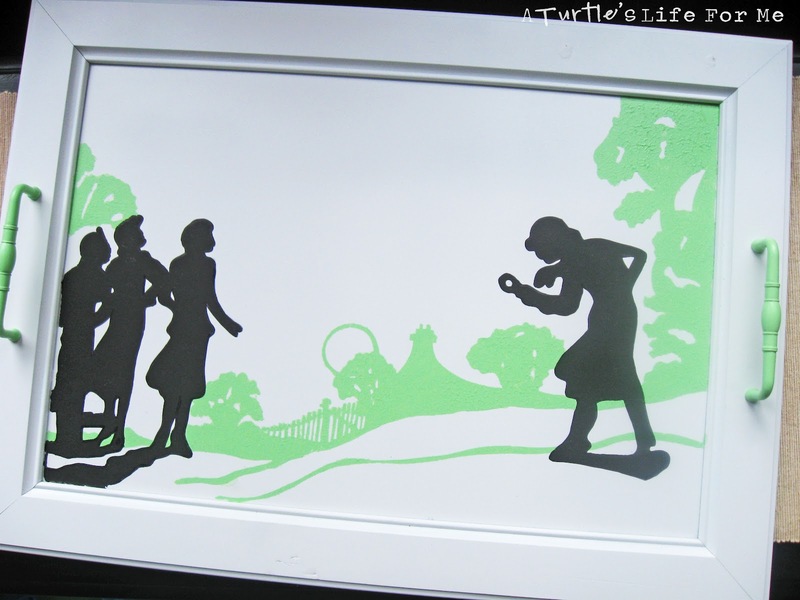 I love the custom stencils and how the Nancy Drew Silhouettes pop off the tray against the lush green background. This project makes me want to curl up with a good book and a cup of tea…preferably Nancy Drew 🙂 Fabulous!! 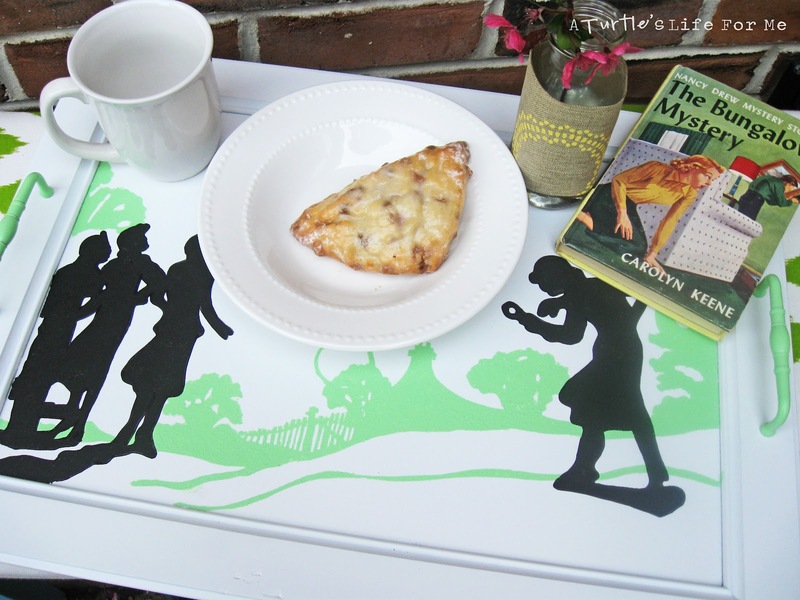 This is super cool – love the design – and the black with the mint green looks fantastic!